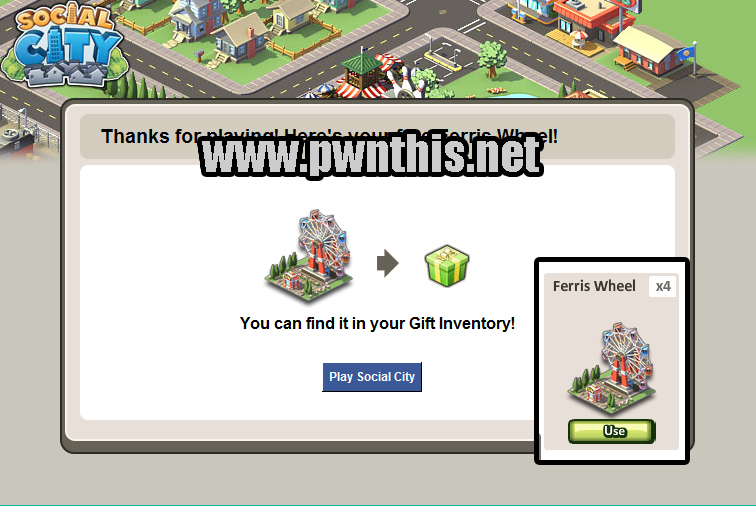 Grab your Ferris wheels while they last. The links will expire so be fast! 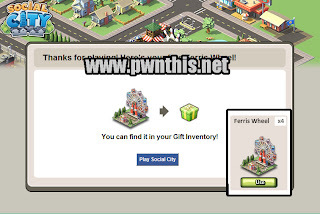 Click on the Ferris Wheels below then enter Social City and you should see the gifts in your inventory. The wheels give 12,000 happiness.